Rai Rai Ken | Oh No! Not Another NYC Food Blog! 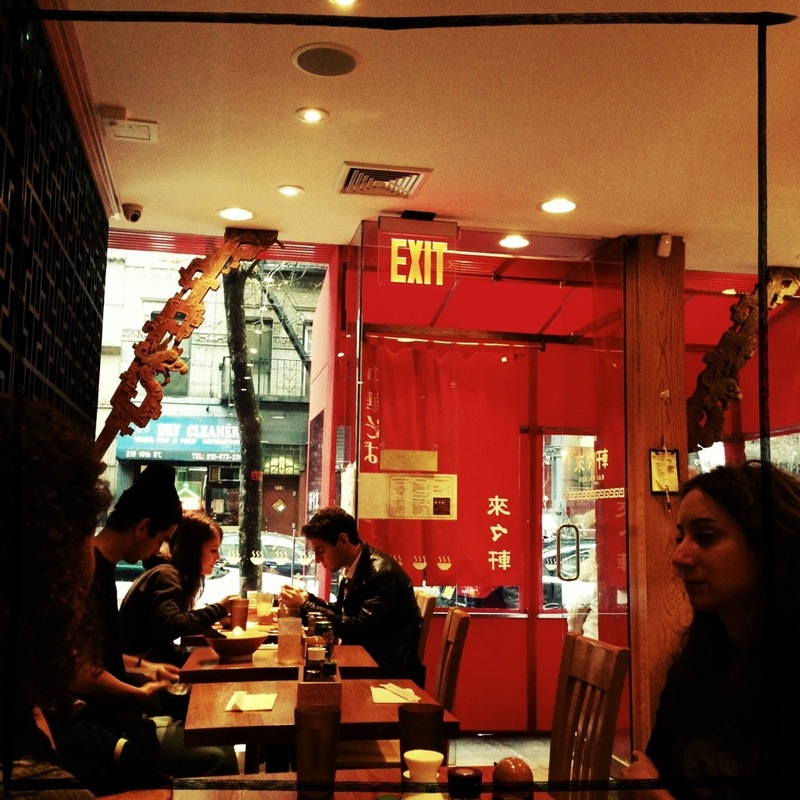 Lauded as one of Iron Chef Masaharu Morimoto’s favorite ramen spots in NYC. Located in the village. The lobster had a nice lobster, shrimp & pork based broth topped with poached egg, shrimp, cilantro & scallion – deeply shellfishy broth, luxurious egg, welcome shrimp. 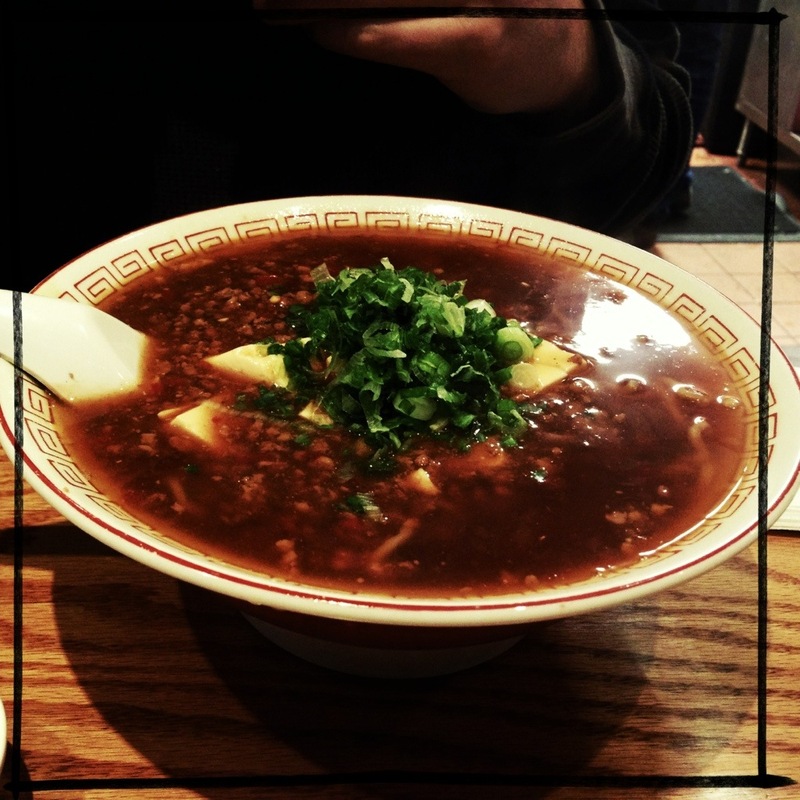 The mabo had a soy sauce based broth topped with ground pork, tofu, chili & scallion – nutty, rich, happy-making pork bits … It’s all there. 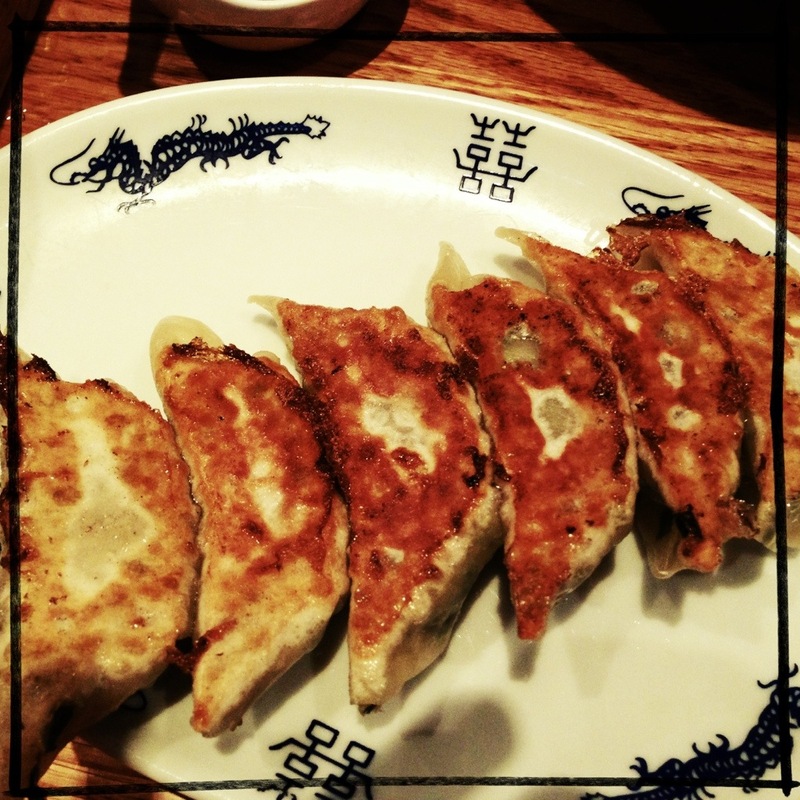 Gyoza – light, with veg, nice taste. Vibrant & busy with bustling servers a a flurry of activity from the open kitchen. Lots of bright red balanced by mixed wood tones. 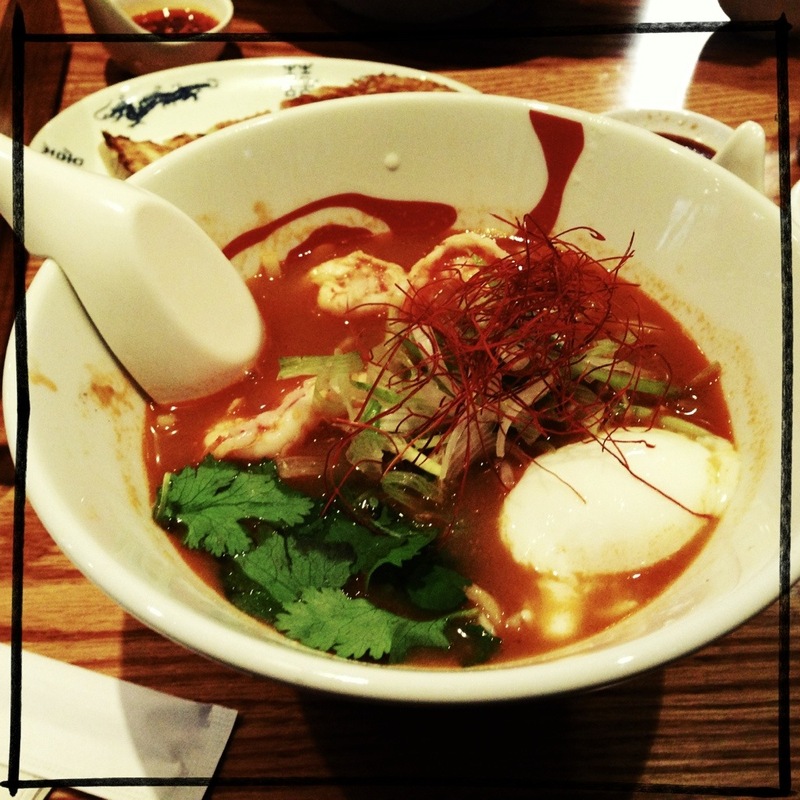 It’s a more than suitable substitute if Ippudo is booked, but just a tic under our favorite. On the other hand, much less expensive and very, very tasty. 5 out of 5 for damn tasty noodles for a great price. *We have visited a few times after that first time, even with company, and the taste held up.